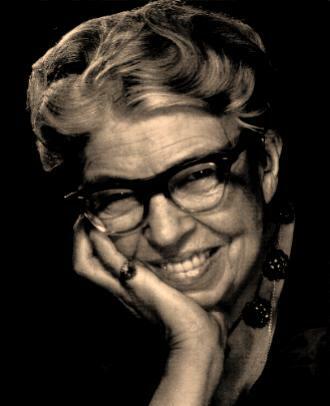 Eleanor Roosevelt is not a beautiful woman, except perhaps in spirit. The Eleanor Roosevelt Story, made three years after the former First Lady's death, is a very positive portrayal, with some fascinating insights into her life. It isn't quite so positive and besotted with its subject that it could be mistaken for a Democratic Party infomercial, but it isn't by any means a critical or even balanced portrait either; it has a major disadvantage of having been made so close to her death, when so much information was yet to be revealed about both her own private agony and her private life. However, as a primer on the longest-serving First Lady, The Eleanor Roosevelt Story might be a good entrance point. The film, written and partially narrated by poet Archibald MacLeish, goes from her early, unhappy, very traumatized childhood, but in those almost frightening years where she lost the father that adored her and the mother who dismissed her, dubbing her awkward daughter "Granny" we find the seeds of her social activism. In her youth, Eleanor's only refuge was the French-language school her Grandmother Hall sent her to (Mrs. Hall probably unaware that it was a hotbed of ultra-liberalism). Part of Eleanor's social activism stemmed from her noblesse oblige, the world outside her Gilded Age social circle horrifying and angering her. We go to her whirlwind courtship by her fifth cousin once removed, Franklin D. Roosevelt. Franklin and Eleanor were in love, but there two difficulties: Franklin's formidable mother, Sara Delano Roosevelt, and the political ambitions of Frank. Those ambitions are close to derailing when he's struck down with something (I don't think the word 'polio' was mentioned), but for once, Eleanor stands up for herself and pushes back when Sara wants her precious little boy to retire and retreat to Hyde Park to be the invalid he is. Now, her activism grows, though it has the unintended result of making her First Lady, a role she doesn't want. However, it is a chance for her to affect change, positive change in her view, and she carries on. Upon the death of the President, she believes that, in her own words, 'the story is over'. It isn't: her nation, indeed the world still need of her, and she carries on, making the world a better place. The Eleanor Roosevelt Story may be a loving, almost fawning film tribute to the former First Lady, but I think that was the whole point of it. The film is meant to be a celebration of Roosevelt, to note not just her accomplishments but that old 'triumph of the human spirit' so many people enjoy seeing. The documentary does have some fascinating information regarding Roosevelt. 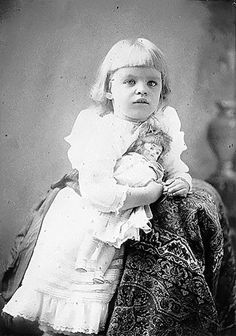 For example, it is absolutely astonishing to discover (courtesy of Roosevelt's cousin Mrs. Francis Cole, who adds narration along with journalist Eric Sevareid and some voice-over from Roosevelt herself), that Eleanor did not know how to read at age 12! The fact that she became a highly literate woman who wrote a newspaper column, My Day, starting from almost when she became the First Lady to almost her death is more remarkable given that information. The Eleanor Roosevelt Story also gives us a clue as to how Roosevelt might think today. She and then Roman Catholic Cardinal Spellman got into a very public spat over whether public money should be used to fund Catholic schools (she was firmly opposed, like the good liberal she was, she opposed what could be called school vouchers). The film does say that she supported 'the right to think and to differ', a claim that I find dubious only because I've found very few people on the Left or Right who truly tolerate those with different political views. We even are allowed a lighter side to Mrs. Roosevelt. There's a clip of comedian Jack Benny cracking wise with the First Lady. He asks for a quarter to donate to charity, to which she remarks she has a dollar and if he could give her change. The comic, who had a running gag of being notoriously cheap, said he didn't have any change with him, but would gladly send it to her...if she stayed in one place (a reference to her peripatetic lifestyle of constant motion). Another joke, however, now is both dated, even slightly racist, and has the punch-line cut out. As she travels the South Pacific to meet the troops, she tells the story of a poor Marine who never had the chance to shoot 'a Jap' (her word). Told to go out and shout, "To Hell with Hirohito" in order to draw a 'Jap' out, he returns all the more depressed. When asked why, he says he did as he was told, only to find the 'Jap' issue a rejoinder, "To Hell with Roosevelt"! First, I figure she used 'Jap' to ingratiate herself to the men (the film makes note that she opposed the internment of Japanese Americans, a decision made by her husband and declared Constitutional by the Supreme Court at the time). However, today such terms would be met with outrage. Second, the actual punch-line. The reason the Marine gave as to why he couldn't shoot the 'Jap' was, "I couldn't shoot a fellow Republican!" The Eleanor Roosevelt Story, being made so soon after her death, either doesn't know or flat-out doesn't mention if it did know some darker and more controversial elements of Mrs. Roosevelt's life. It would be decades before stories of a lesbian affair with her confidante, Lorena Hickok (better known as 'Hick') would come out (no pun intended). The surviving letters between them indicates a great passion between them, and Hickok was openly gay (or as openly gay as one could be at the time). However, there's been no definitive proof that their relationship was ever sexual or that Mrs. Roosevelt herself was either gay or bisexual. Nothing wrong with being gay or bisexual, but my argument is that we don't know whether Eleanor ever had a mistress herself. She did associate with lesbians, many of whom had leadership positions or great influence within the Democratic Party (read Eleanor & Hick: The Love Affair That Shaped a First Lady by Susan Quinn for this interesting story). What was known then, or at least secretly discussed, was Franklin's main mistress, the beautiful Lucy Mercer, later Mrs. Rutherford. It was Mrs. Rutherford who was with President Roosevelt when he died in Warm Springs, Georgia (Eleanor was in Washington). The Eleanor Roosevelt Story does not mention, or even hint at, the fact that it was the discovery of Franklin's infidelity that crushed her almost to desperation or that it was the impetus for her to form an independent life. Essentially, their married life was over the moment Mrs. Roosevelt read those love letters between Franklin & Lucy; they were together, but the marriage was essentially dead. Reputations, it appears, had to be maintained, even after death, and The Eleanor Roosevelt Story was part and parcel of keeping up appearances. There's an introduction to the film by then-First Lady Hillary Rodham Clinton. It's pleasant enough, though I found very little emotion behind Mrs. Clinton's 'touching' tribute. Mrs. Roosevelt beat Mrs. Clinton in being the first First Lady to testify before Congress, something even now to be rare. That is something I was unaware of. The Eleanor Roosevelt Story is a good way to give people an overview of this interesting figure, albeit a bit flowery and reverent. Still, we can see how events both public and private shaped her, her worldview, and her actions. Sympathetic, almost but not quite to a fault, The Eleanor Roosevelt Story is a good but not great film about a good but not great woman (I favor former First Lady Dolley Madison myself). "What one has to do usually can be done". Words of Wisdom indeed.